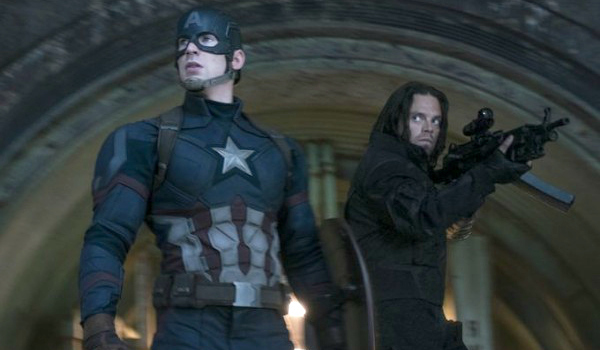 The following story contains MASSIVE SPOILERS for Captain America: Civil War! Do NOT continue unless you have seen the film. Comic book readers heading into Captain America: Civil War likely had it in the back of their minds that Steve Rogers (Chris Evans) might not make it to the end credits alive. That’s not as drastic a thought as you might realize. In the comics on which Civil War is loosely based, Rogers dies in the aftermath of the Civil War events. He’s being taken into custody by S.H.I.E.L.D., he is sniped by Crossbones, and then killed by Sharon Carter. Since we knew that Civil War had roles for both Brock Rumlow (Frank Grillo) and Sharon Carter (Emily VanCamp), the possibility remained in our thoughts right up until the movie screened. No. We never even looked at that as… if you actually look at it, it’s not a part of the Civil War story. It’s the next one. I’m not saying we’ll kill him in the next one, but we just never looked at it as key to the conflict. And we wanted that to be the focus of the movie, and the focus of the ending is maintaining that conflict. That makes sense. Captain America didn’t have to die in order for Iron Man to prove his point. In fact, if anyone was going to lose their life, it likely was going to be Bucky, who admitted to Tony Stark that he remains haunted by all of the lives that he has taken, and yet, is still trying to atone for his sins. Bucky ends up losing his arm in the battle with Iron Man, and finishes Civil War in "sleep," in the safety of Wakanda and the protection of Black Panther (Chadwick Boseman). Which means Marvel can bring him back… without playing the not-really-dead card. The fact is that, you know, we are on notice for killing people and bringing them back [in the MCU]. You kill them, it’s not actually that. You’re going to kill him and bring him back in Infinity War? ... You [guys] hate it when we do that. … So no, our mandate, even though we weren’t, [we] hadn’t officially been contracted to write it yet, though we were probably going to, we wanted to wreck the Avengers and leave them in a shattered state, before [Thanos arrives]. I do hate when "dead" Marvel characters come back. And judging by our comments section, so do the rest of you. So, Captain America was never going to die. He’s just in exile, waiting to return, in some form, when Thanos arrives on our planet. And you heard it straight from Marvel’s mouth. Do you think it was the right call? Weigh in below.